First Prize winner of the prestigious Competition Internationalé, she also received the Leo Sirota Award for Piano Solo Performance at the Corpus Christi International Competition as well as the Special Award for Schubert Interpretation at the International Competition Valsesia Musica in Varallo, Italy. Other prizes include the Dosei-Kai Prize for Distinction in Performance, and the Silver Medal in the Chubu Chopin Competition in Nagoya, Japan. Among other honors, Ms. Tokuno was selected in two consecutive seasons from a world-wide pool of applicants to perform in master classes by Daniel Barenboim and Leon Fleischer at Carnegie Hall. Known for her ability to bring a vast array of styles to life, Ms. Tokuno has performed at Carnegie (Weill) Hall and CAMI Hall in New York as well as at Symphony Hall and Jordan Hall in Boston. She was also invited to give a solo recital as part of a Chopin Festival at the Polish Consulate in New York. In addition to solo and chamber performances in Austria, France, Germany, Italy, and Romania, she has appeared at many venues in her native Japan and in numerous recitals and chamber concerts in the United States. Ms. Tokuno’s principal teachers were Midori Tanabe at the Tokyo National University of Fine Arts and Music, where she was an honors graduate, and Victor Rosenbaum at the New England Conservatory in Boston where she received the Master of Music degree with academic honors and was selected to perform with the NEC Orchestra at the Commencement Concert. 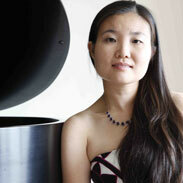 Ms. Tokuno also holds Graduate Diploma in Collaborative Piano from New England Conservatory. Now a highly regarded teacher herself, Ms. Tokuno was formerly on the faculty of Phillips Academy in Andover, Massachusetts. She has been on the faculty of the New England Conservatory Preparatory School in Boston since 2008, and the Cremona International Music Academy since 2011. Her debut solo CD “Beethoven Sonatas & Bagatelles” was released on GiNOTE RECORDS® in October 2009 and is available worldwide at iTunes, Amazon.com, and CD Baby. You can also listen on iTunes to Ms. Tokuno playing “Tokuno Toccata,” the piece written for her Carnegie Hall Recital in April 2010 by a Boston composer, Thomas Oboe Lee, as well as the masterclass with Leon Fleisher on Schubert’s Sonata in A major, D. 959 at Carnegie Hall Weill Institute Webpage.